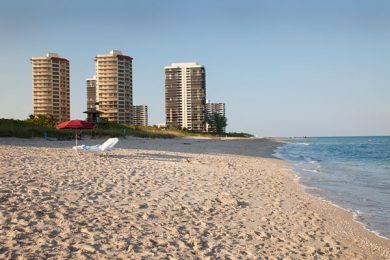 Florida Title Loans is the number one source for title loans in Riviera Beach! You’re in a financial situation and you need cash fast. Nothing feels more frustrating than not having enough money and too many days until payday at the same time. That’s usually the time when you get thrown into the thick of Murphy’s Law. You know, anything that can go wrong will go wrong. And if your Internet search for the words “title loans Riviera Beach” or “title loans West Palm Beach” has landed you here, Murphy has come to pay you a visit. That’s the bad news. The good news is, we can help you get out of your financial bind. And all you need is the title of your vehicle and the length of time it takes you to drink a cup of coffee. If you’ve never had a title loan before, you probably don’t know how they work or what to expect. Suffice it to say that they are probably the easiest loans to get, far easier than getting a loan from your lending institution. If you can answer a few questions on our online application, you can apply for a title loan and get an instant title loan quote. And even if you have poor credit, you can still qualify for a loan. It doesn’t even matter to us if you’ve filed bankruptcy in the past. In fact, we welcome you, because we know that getting a title loan will help you rebuild poor credit. If this encourages you, please read on to learn what you need to do to apply for the loan, about how you are protected by law, and about how quickly you can get your money. The information about your car, including the number of miles it currently has on it, the make and model, and the year the car was made. Information about you, including your legal name, the zip where you currently preside, and a phone number (should be your current number). Once you have completed your online application, you’ll know right away how much you qualify for: We’ll give you an estimate. Then all you need to do is wait for someone from our establishment to give you a ring and to visit with you about the rest of the loan process. It’s really that easy, and you could even have your money by the end of today. Chances are, you may have some concerns about borrowing money against the title of your vehicle. We completely understand! You should know that the title loan industry is subject to the strictest regulations on both the state and federal levels. We adhere to all of these regulations. For you, this fact means that you never have to wonder what’s what on your loan. The amount of money that you must pay back, the interest rate, and any other pertinent information about borrowing against your title is written in your contract with us. It gives you complete peace of mind. Your credit is irrelevant. The title to your car, motor home, or motorcycle is enough to get you cash today. You can apply for your money right online and use it for any purpose you want. You are protected by state and federal regulations. You could even have your money today. What are you waiting for? Get started on your application today!